Welcome to Stop #10 of the December New Release Giveaway Hop! 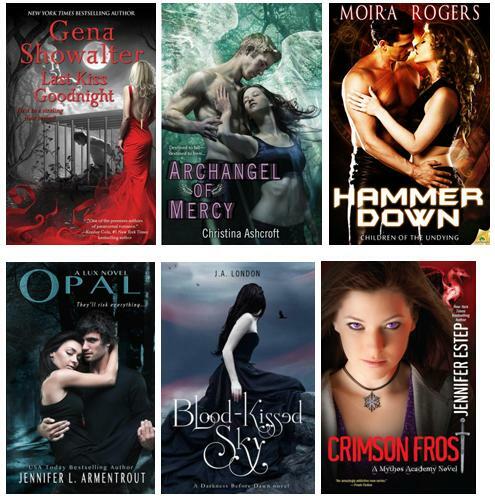 This blog hop is being hosted by Book Twirps and Refracted Light Reviews. Would you like to win a new release that is hot off the presses? You may enter only once! You must be a follower of Darlene's Book Nook on Google Friend Connect (see widget on the left-hand side). The Book Depository must ship to you with free delivery in order to enter. If you are not sure, please check. The giveaway will end on Tuesday, January 1st at 12:00 AM, CST. Rafflecopter will choose the winner(s) using Random.org. The winner(s) will be notified by email and will have 48 hours to claim the prize(s). If a prize is not claimed within 48 hours, a new winner will be selected through Rafflecopter. To enter this giveaway, fill in the Rafflecopter entry form below. My favorite read this year was Project ELE by Rebecca Gober & Courtney Nuckels. I loved "A Face Like Glass" by Frances Hardinge the most. my fav : show no mercy and portrait in death.. I loved The False Prince by Jennifer Nielsen. Thanks for the giveaway. I loved The Hunger Games trilogy and Nation by Terry Pratchett. Tiger Lily by Jodi Lynn Anderson, Iced by Karen Marie Moning & The Emperor's Conspiracy by Michelle Diener. I'll have to say The Night Circus by Erin Morgenstern. Tell the Wolves I'm Home. It was amazing. Hard to pick one....loved On the Island and all books by Jennifer Armentrout! Thanks! The Season of the Witch by Natasha Mostert. I loved many of the books I read this year but I think my very, very favourite one would be The Immortal Rules by Julie Kagawa :) Thank you so much for the giveaway! Drowning Instinct by Ilsa J. Bick, it was AMAZING. Tiger's Destiny by Colleen Houck and Grave Mercy. Under the Never Sky! I loved that book and can't wait to read the sequel!! The Undefeated Mind. By Alex Lickerman. That's tough to narrow down, but I'll try to figure out just two. Adult fiction it was Breath of Snow and Ashes by Diana Gabaldon and YA it was Across the Universe by Beth Revis. Sea of Tranqulity by Katja Millay. Thanks! My favorite read of 2012 is the Lux Series by Jennifer L Armentrout ! Grave Mercy by Robin LaFevers. You just can't beat nun assassins. Deadly Trilogy and Deadly Holiday by Alexa Grace!! I loved Insurgent and The False Prince! I enjoyed BORN WICKED by Jessica Spotswood. I love Renegade. It was my first book win! My favorite was Moonlight Mayhem by Helen Haught Fanick. The Edge of Never: J.A. Redmerski !! I LOVE this book SO MUCH !! Reality Check by Karen Turt!! I've liked David Estes Moon Dwellers. 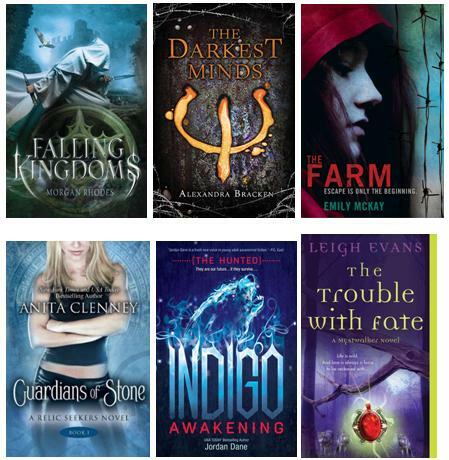 Oops...forgot to mention I'm listed as April B in the rafflecopter. I loved Angelfall by Susan Ee and Pushing the Limits by Katie McGarry! I have a lot in my list! The fault in our Stars by John Green, Slammed by Colleen Hoover and JLA's books! I am glad I found Libba Bray through reading The Gemma Doyle trilogy this year. I love her! I also loved Cinder and can't wait for Scarlet. Thanks for the giveaway! I read a lot of good books this year, but my favorite was Slammed by Colleen Hoover. The Sea of Tranquility by Katja Millay and TFiOS by John Green were outstanding. Hands down the best two novels I've read in 2012. Bitter blood by Rachel Caine! I really enjoyed "Under the Never Sky" by Veronica Rossi...rarely do I think books live up to their hype but in this case it did and beyond! Thanks for the giveaway! I loved Abraham Lincoln the Vampire Hunter! My favourite read was It Rains in February by Leila Summers. I really enjoyed THE DOVEKEEPERS by Alice Hoffman! Thanks Darlene. I loved THE SIREN by Tiffany Reisz! Onyx, Golden Lily, Froi of the Exiles! My 2012 faves include Cast in Peril by Michelle Sagara, Trapped by Kevin Hearne, Chasing Magic by Stacia Kane and Mad River by John Sandford. One of my favorites I read this year is one I just finished reading recently called Anomaly (The New Haven Project #1). Any werewolf book that i've read is my fave! Thanks for the great giveaway! I liked The Immortal Rules. Divergent and Monument 14 were some the best that I read this year! I've read so many great books this year it difficult to choose just one or to even narrow it down to just a few. Not to mention that I'm a bit behind, so some of my favs I read this year were published prior to 2012. There are so many others plus my TBR list is longer than "the Song That Never Ends" ...I could go on for a while. I just started Falling Kingdoms by Morgan Rhodes and already I'm loving it. Beautiful Disaster by Jamie McGuire. And so many more books. Thanks for the great giveaway! I loved the Lux series! This year, my ultimate favorites are Angelfall, Some Girls Are and Before I Fall. Thanks for the giveaway! It's an older one that my mom recommended to me. The mirror by Marlys Millhiser. Ahhh, so many books to choose from! I really liked Coffeehouse Angel (really cute story!) but I also read Rapture by Lauren Kate and City of Glass by Cassandra Clare, which I enjoyed reading. Thanks for the giveaway! My favorite book is Lothaire by Kresley Cole. The Iron Fey series. Thanks for the awesome giveaway!